For large technology companies eager to expand operations in India, rural markets have emerged as the latest attraction. The initial draw may have been the prospect of selling products and services to a 50 million-strong middle class, but these companies are now evincing interest in non-urban, low-income customers, extending support to start-ups developing technology solutions for underserved markets. So far, the turbulence in the global financial markets hasn’t affected their plans for rural India, with multinational firms and start-ups positive about the non-urban markets’ ability to generate profits in the long term. 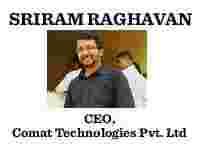 In fact, as the crisis was unfolding, September-end saw two global investment firms, Omidyar Network and Unitus Equity Fund (UEF) put Rs60 crore into Comat Technologies Pvt. Ltd, an eight-year-old firm in Bangalore that offers e-governance, satellite-based education services and retail insurance products to rural consumers in 10 states. “The Comat deal is a catalytic one; in the next two to three years we will have an office in India and invest in 10 more (companies such as Comat)," says Dimple Sahni, manager, investments, Omidyar Network. Comat’s CEO Sriram Raghavan says the financial crisis is unlikely to have a direct impact: “The repercussions of the global financial crisis will primarily be felt in a tight credit market, so in that sense there will be an indirect impact on companies focusing on rural and non-urban markets, but there really will be no direct impact. For instance, companies that sell to rural consumers have different strategies. For instance, they may not even have invested in building their own distribution channel and could be partnering with other companies (LIC sells life insurance through Comat’s rural business centres), so really I feel the direct impact will be nothing." In a May 2007 report, Bird of Gold: The Rise of India’s Consumer Market, McKinsey Global Institute, or MGI, predicted that as the geographic pattern of India’s income and consumption growth shifts by 2025, at least 291 million people will move from desperate poverty to a more sustainable life and India’s middle class will swell at least 10 times from its current size of 50 million to 583 million. “Selling to the base of the pyramid was seen as just a high-volume business but now, with a proper delivery channel and the right mix of services, it can also be a high-margin business," says Sandeep Farias, managing director, UEF. The fund recently raised $60 million (about Rs286 crore) for investments in social enterprise. It is this mix of sustainability and profits that technology majors are homing in on. In August, when Google Inc. launched Google Map Maker in India, it was positioned as a tool to map small local businesses and help non-government organizations identify focus areas in semi-urban and rural locations. Consumers in underserved markets lack basic access to technology either due to language or even barriers created by the inability to handle or install a device. “We came in with products and services attuned to developed markets and found that India had large numbers of semi-literate people who use phones and may not want to use computers," says Prasad Ram, centre head and engineering director, Google India R&D, Google India Pvt. Ltd.
Google is among a slew of technology companies, including Microsoft Corp., Intel Corp. and Nokia Oyj, that are designing new products, services and payment models to make technology accessible and affordable in non-urban markets. Nokia is running a pilot project to gauge consumer response to initiatives such as the use of microfinance to fund the purchase of mobile phones by rural consumers. “We are also running pilots for agriculture-based solutions and are working with a host of content providers to start programmes for farmers, which include information on market prices for agricultural products to weather updates and various financing options," says Devinder Kishore, director, marketing, Nokia India. Microsoft, which has invested at least $20 million over the last four years in programmes to transform education systems, foster local innovation and enable job opportunities in non-urban areas, plans to put in more money. “We will invest another $20 million over the next four years," says Latif Nathani, general manager, unlimited potential group, Microsoft India. This group is focusing on taking the benefits of computing to the next one billion people globally in the next 10 years. The goal is to reach 200 million families, earning Rs5 lakh or less a year. The MGI report puts the number of middle-class households in India, earning between Rs2 lakh and Rs5 lakh a year, at 94.9 million, in 2025. The base of the pyramid is expected to swell to include 93.1 million households earning Rs90,000-Rs2 lakh per year, along with 48.8 million households earning less than Rs90,000 per year. “There are two parts to this growing phenomenon of technology companies focusing on non-urban areas. In the first, there is a greater demand itself for new technology from industrial clusters in semi-urban areas and in the second part, individual consumers from rural areas are looking for technology services and products for their everyday use," says Milan Sheth, partner, advisory services, Ernst and Young Pvt. Ltd, or E&Y, an audit and consultancy firm. In a March report, The Dhoni Effect: Rise of Small Town India, E&Y said the urban growth story, driven so far mainly by metros, has expanded into tier I, II and III towns. In sectors such as telecom, the report said subscriber growth in the top four metros was at 58%, while it grew at 93% in the rest of India. “Rural India is an extremely important market for us; the current teledensity in rural areas is only 6%, which means that there is a great opportunity to offer handsets and applications that answer the needs of the rural Indian," says Kishore. The Finnish mobile phone maker is selling handsets adapted for rural India with longer battery life, dust-resistant covers and local language interface in 10 Indian languages. “In rural India, technology such as the Internet and the mobile phone is about improving livelihood and not lifestyle," says Google’s Ram. “For instance, by using Google Map Maker, a small business in the middle of nowhere can acquire a geographical presence visible to all." The product, Max Vijay, is currently being tested among consumers in Allahabad and is targeted at low-income workers, who enrol by paying Rs1,000 and follow up with minimum premium amounts as low as Rs10. “Due to their cyclical income flows, low-income consumers typically cannot afford conventional insurance products with fixed premium and stringent documentation," says Mehta. So, if a Max Vijay customer moves across cities in search of work, he can still make payments at collection centres such as local kirana (general merchant) stores and mobile recharge centres. Mehta expects to cover a fifth of the total consumer market by December. Companies have no doubt that there is a huge demand for technology among rural consumers or those who are in the middle to base of the income pyramid. The challenge lies in reaching them and building the right delivery channels. “One key challenge in reaching out to rural consumers is lack of infrastructure," says Nathani. Without basic elements such as electricity and Internet connectivity, it is not possible for any IT organization to fully exploit the potential that exists, he says. On the other hand, content service providers such as Google say the bigger challenge lies in creating appropriate content for local markets in India. “The digital divide that separates current Internet users from the emerging users is less about affordability and availability of computing and Internet but more about the absence of locally relevant information," says Ram. Google, therefore, is focused on creating an ecosystem to address the content, access and application needs of emerging users. Moves to bolster content include improvements to Google News, which now has Indian news editions in English, Hindi, Tamil, Malayalam and Telugu. Users can also search a large corpus of archival newspaper content. Google is breaking the language barrier by offering transliteration services in Hindi, Gujarati, Marathi, Bengali, Tamil, Telugu, Kannada and Malayalam. “By 2010, mobile phones will dominate PC usage, so launch of mobile search, maps and Orkut and the piloting of SMS channels and voice search are aimed at overcoming barriers to access," says Ram, who is directing the concept and development of services for emerging users of technology in the country. “It is difficult to predict the exact time frame for success in these markets but the work to build markets is already happening," says Nathani. Partnering with start-up firms that work in rural markets is another strategy. In March, Microsoft Corp. took a 36% equity stake in start-up firm Oxigen Services (India) Pvt. Ltd, which offers aggregated services such as mobile recharge across all service providers and utility bill payments on a single IT-enabled platform that can be accessed at points such as kirana stores. Oxigen’s services are available at about 50,000 access points. Chip-maker Intel is reaching out to non-urban markets through its venture capital arm, Intel Capital, which invested $4 million in Comat Technologies in April 2007. It is looking at investments in areas such as voice recognition, alternative energy and broadband penetration. “These technologies will allow a lot more people from rural areas to access the Internet at low cost," says Sudheer Kuppam, managing director, Intel Capital India. Microsoft, in partnership with IDRC Canada and the MS Swaminathan Foundation, has set up the $200,000 Rural Innovation Fund, which provides grants to eight ventures that are using technology to build applications for rural consumers. Clearly, this rush of money and ideas will only increase. Saxena was part of the team at Hutchison Essar Ltd (now Vodafone Essar Ltd) that led the buyout of BPL Mobile Communications Ltd. It is this understanding of the mobile space that he has used to build a single payment platform that multiple service providers can now tap into in their bid to reach customers in rural locations. “The challenge has always been how to reach technology to the masses and using Oxigen outlets is one solution to that challenge," says Latif Nathani, general manager, unlimited potential group, Microsoft Corp. (India) Pvt. Ltd. In March, Microsoft Corp. bought a 36% stake in Oxigen Services, an investment that is expected to boost technology support for the start-up while allowing the world’s largest software maker to increase its presence in India’s rural and semi-urban markets. Oxigen was first set up as a joint venture with South African firm Blue Label Telecoms Ltd. Subsequently, in early 2006, Citigroup Venture Capital International, the private equity arm of Citigroup Inc., bought a 26% stake in the company. “Citi provided us financial support, but we soon realized that what we required was a strategic technology partnership to roll out additional services," says Saxena. So, this year when Citi divested its holding, Oxigen Services firmed up a partnership with Microsoft, turning its focus to offering technology-enabled services to customers at the base of the income pyramid who are unable to avail of banking services. The firm has created a cashless service called OxiCash Wallet that any mobile phone user can register for by paying Re1. Subsequent payments (called OxiCash) from Rs50 onwards can be used to pay for all the services available at an Oxigen outlet. “The mobile phone then becomes a default credit card for various functions such as mobile and fixed line telephone bill payments and railway and even airline tickets," says Saxena. With rural consumers mostly accessing Oxigen’s services at kirana (general merchant) stores, the start-up is now looking to turn this relationship into a brokerage for financial services. “The retailer can be trained as a banking correspondent who opens small, no-frill accounts for rural consumers who do not possess a regular bank account," says Saxena. In turn, this large unbanked segment of the population will have access to a host of financial services such as money deposit and loan facilities. 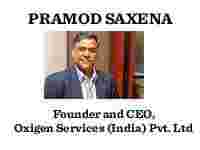 “We hope to add on features such as money transfer and also make it possible for Oxigen customers to pay the same retailer OxiCash for his purchases across the counter," says Saxena, who is aiming to bring the country’s large unbanked population into the fold of technology–enabled services. 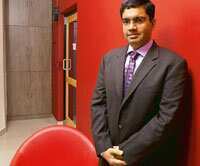 The company has clocked revenues worth $150 million (about Rs715 crore) in the fourth year of operations. “In the next two to three years, Oxigen Services will be available at over 250,000 access points, enabling 10 million transactions every month," says Saxena. Since then, Comat Technologies Pvt. Ltd has emerged as a distributor of satellite-based education systems and operator of rural retail outlets for the country’s largest insurance firm, Life Insurance Corp. of India Ltd, or LIC. Today, Comat runs at least 1,100 kiosks (called Nemmadi in Karnataka) across 10 states, reaching out to a million farmers. “It has taken nearly eight years for us to prove that there is long-term value in a business focused on rural consumers," says Sriram Raghavan, chief executive officer, Comat Technologies, who has steered the company’s expansion plans in the last three years. The defining moment for the start-up was when it turned from being a provider of government services to a retail network selling a variety of services to rural consumers. Once its rural business centres started attracting visitors, Comat realized a clear utility value could be leveraged by sectors such as banking and financial services. To begin with, Comat signed on as a representative for ICICI Lombard General Insurance Co. Ltd, selling general insurance products. This year, it has finalized an arrangement with LIC to retail insurance products to rural consumers through the kiosks. Comat, which is already working with LIC to digitize policy documents, will now use its rural business centres to accept cash premium deposits, generate online receipts for payments and, more crucially, facilitate hassle-free settlement of insurance claims in rural areas. In the field of education, the company offers training for rural youth in fields such as medical transcription. At present, course content is disseminated through satellite technology—experts conducting the course from a studio, and this is beamed to Comat’s kiosks across Karnataka. The six-month course covers subjects such as science (human anatomy), English grammar, English typing and American accent training. “In different states, this ready platform can be used to retail different services across e-governance, education and financial services," says Sandeep Farias, managing director, Unitus Equity Fund, which joined private investment firm Omidyar Network to invest Rs60 crore in Comat in September. By the end of the year, Comat expects to roll out at least 6,000 more kiosks leveraging this new investment. “We are now looking to rapidly build scale into the business and need investors with a large war chest who could fund this roll-out," says Raghavan. In 2007, Intel Capital took an equity stake in the company that was rapidly building its presence in states such as Uttarakhand, Rajasthan, Madhya Pradesh and Haryana. “Employability training, such as courses for retail staff, is another area that we are looking at," says Raghavan. The company provides online coaching to rural students sitting for the common entrance test for admission to professional colleges using the distance education model—lessons are beamed down using satellite technology offered by Hughes Software Systems Ltd, now known as Aricent Inc. The company, which has a revenue base of Rs64 crore, expects to double revenues every year as it reaches out to an expanding base of rural consumers hungry for services. It was work that provided him a unique insight into the way rural markets were expanding across the country. After a 12-year stint as an entrepreneur, Ram Kumar worked as a consultant for technology implementation in the NGO sector—and to raise funds for rural education. 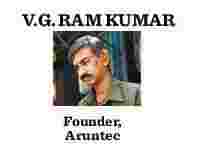 So, last year, when Mission 2007, a competition to identify innovative grass root-level enterprises that develop technology applications was announced, Aruntec, the start-up that Ram Kumar had floated to develop an e-commerce portal for Indian villages, was among the 1,000 outfits that applied for a grant. These entrepreneurs were vying for seed capital funding from the Rural Innovation Fund, an initiative of Microsoft Corp. (India) Pvt. Ltd in association with IDRC Canada and MS Swaminathan Foundation. “RIF is a $200,000 (about Rs95 lakh) fund set up to back enterprises that are developing innovative ICT applications that address some existing problems in rural areas," says Latif Nathani, general manager, unlimited potential group, Microsoft India. There were 42 projects shortlisted—nine, including the Web portal proposal from Aruntec, were eventually chosen as winners. “It was a great start—to win a nationwide competition, it brought recognition as well as a financial grant," says Ram Kumar, who aims to build e-commerce portals for 10,000 villages by the end of March. The idea is to build a two-way business channel between rural entrepreneurs and buyers in urban markets; this can include trade in products developed by weavers, potters, handicraft makers as well as agricultural produce. “There are social benefits, such as increased skill-building for rural workers, and they get direct access to buyers with whom they can interact and sell their products," says Ram Kumar. He says the biggest challenge for the roll-out of technology access in rural areas is the paucity of Internet access. “I have identified the broadband service required and hope to have it implemented soon," says Ram Kumar. He is now using Internet dial-up services in rural areas to offer access to the Web portal. In addition, there are other projects, such as e-books publishing, that Aruntec hopes to add on to the project later. However, the RIF mandate is for speedy implementation of the Web portal project on the ground, to ensure that rural communities are drawn into the mainstream. “If we are to reach the 200 million families who are in the middle or the base of the pyramid, we have to bring relevant access and affordability to customers," says Nathani. “The cost of servicing rural markets is very high and I am a firm believer that technology can help reduce the cost of servicing the rural poor," says Harsha Moily, chief executive officer, MYA. The company raised Rs6.9 crore in March from investors, including Silicon Valley-based venture capitalist Vinod Khosla and Unitus Equity Fund, which focuses on microfinance and social enterprise investing. “The equity investment will enable the company to build a supply chain and infrastructure for dairy farming and health care centres, continue to create key market linkages between the rural community and upstream players, strengthen its technological platform to gear the business for volume-driven activities and expand MYA’s microfinance arm," says Moily. The start-up began operations in April 2006 by creating a microfinance network that has 37,000 members across rural Karnataka. This network is now the base for the roll-out of a supply chain model across two sectors—dairy farming and health care. “MYA is a company which is riding on the India growth opportunity and not on the microfinance opportunity," Moily says. The start-up aims to build a delivery system for the rural poor across a gamut of services, including agribusiness and retail, in addition to the two sectors that MYA is already active in. It is a strategy that clearly finds favour with investors. “MYA’s business is not microfinance, yet it understands it well and views it as an organized platform, both in terms of manpower and infrastructure, which can be leveraged on to provide a range of other income-generating services," says Johanna Posada, limited partner, Unitus Equity Fund (UEF) and managing director, Elevar Equity Llc., which manages UEF. Each dairy unit set up by MYA caters to 3,000 people, utilizes the services of 100 dairy farmers, and is run as a franchise unit by a microfinance client group. Each unit can generate 18,000 litres of milk every month, using an average of 18 tonnes of animal feed concentrate and 20 acres for cultivating green fodder. MYA works towards building partnerships to procure the milch animals, provides the inputs and finally arranges for purchasing the milk produced. “Once our last mile supply chain management services is in place, we plan to enter into partnerships with companies in the dairy farming sector," says Moily. Five such dairy farming franchises have already been set up in Bagalkot district in north Karnataka. In the health care sector, MYA is setting up primary health centres—each one caters to a population of 30,000 and offers basic medical services such as outpatient care, laboratory and diagnostic facilities and a pharmacy. “The next step will be to build alliances with companies that can set up tertiary care hospitals where primary health clinics can refer their patients to," says Moily. One such health care franchise is already operational in Bagalkot. “Availability of quality manpower is the only challenge we face in a business focused on rural markets," says Moily, who struggles to find talented people ready to work in rural India. To bridge that gap, MYA plans to hire domain experts as consultants for short-term projects while working on a long-term plan that involves building partnerships with educational institutions and offering employees a stock option plan. “We aim to set up a non-profit foundation that will establish high schools in rural areas that can provide a stable source of quality field staff for our operations," says Moily, adding that rural India is a vibrant market waiting to be tapped. It is this promise of growth that is encouraging investors such as UEF. “In addition to the growth we are seeing in the Indian urban markets, it is estimated that the annual growth rate in real income for an average rural household will increase from 2.8% to 3.6% in only two years. To capitalize on this growth is an attractive opportunity", says Posada, who expects MYA to launch at least two new products and services in the next three years that will be both large-scale and profitable.